Hide deals from seller "Janara's World of Hair Care Inc."
Janara's World of Hair Care Inc.
$25 Gift Certificate to Janara's World of Hair Care Inc.
Limit 1 per person and 1 per transaction. Valid toward any items in the store. 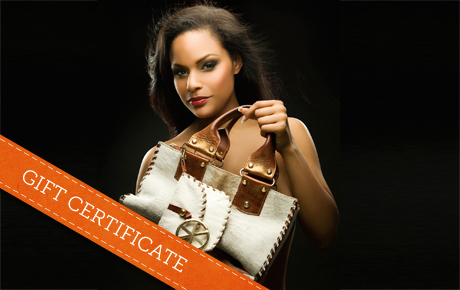 Full value of Gift Certificate must be used in 1 visit. Accent your wardrobe with this deal for 52% off a Gift Certificate to Janara's World of Hair Care Inc., in Tinley Park ($25 value). This boutique offers a variety of jewelry, handbags and accessories to help you complete your look. For the past three years, Janara's has been offering the latest accessories to fashion-forward women. They sell a wide range of purses and handbags to fit every occasion. Whether you are looking for a sturdy bag to carry all of your daily necessities or a sparkly clutch to just hold your lipstick and phone, Janara's has something for you. They also sell dazzling necklaces, earrings and bracelets to add some sparkle to your outfit. Visit Janara's and browse their impressive selection of glitz and glamour. Business in Tinley Park offering haircare, accessories, beauty supplies and more.